1. Conduct, Behavior, Behaviour, Doings : چال چلن : (noun) manner of acting or controlling yourself. Discourtesy, Offence, Offense, Offensive Activity - a lack of politeness; a failure to show regard for others; wounding the feelings or others. 2. Conduct, Behavior, Behaviour, Demeanor, Demeanour, Deportment : برتاو - رویہ : (noun) (behavioral attributes) the way a person behaves toward other people. 3. 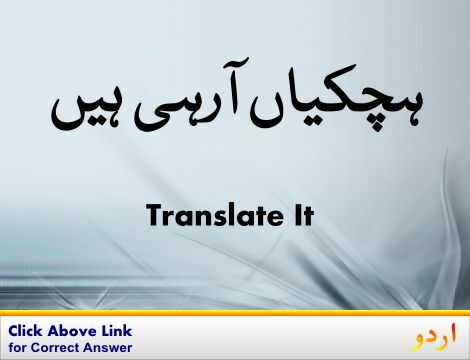 Conduct, Direct, Guide, Lead, Take : لے جانا - کسی کو کسی جگہ لے جانا : (verb) take somebody somewhere. Lead Astray, Misdirect, Misguide, Mislead - lead someone in the wrong direction or give someone wrong directions. 4. 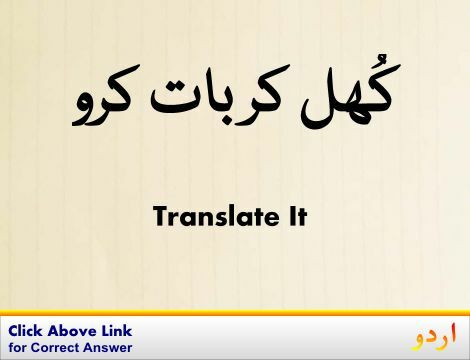 Conduct, Carry On, Deal : چلانا : (verb) direct the course of; manage or control. 5. 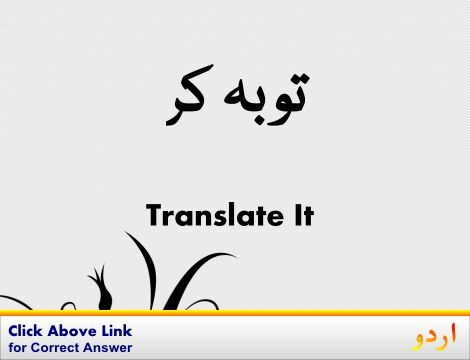 Conduct, Acquit, Bear, Behave, Carry, Comport, Deport : اصلاح کرنا : (verb) behave in a certain manner. 6. Conduct : رہنمائی کرنا : (verb) lead musicians in the performance of. Misleading Or Deceptive Conduct: Issues and Trends. Ethics and the Conduct of Business. Conduct Disorders and Severe Antisocial BehaviorLearning to Lead: A Handbook for Postsecondary Administrators. Conducting Wire : تار : a metal conductor that carries electricity over a distance. Condole With : ترس کھانا : share the suffering of. How this page explains Conduct ? It helps you understand the word Conduct with comprehensive detail, no other web page in our knowledge can explain Conduct better than this page. 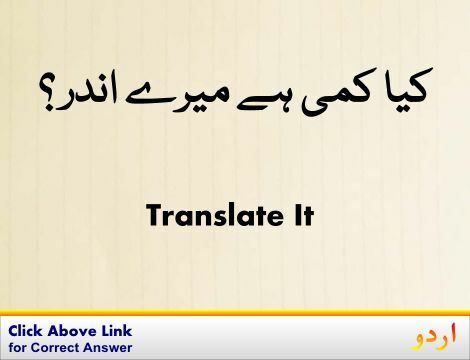 The page not only provides Urdu meaning of Conduct but also gives extensive definition in English language. The definition of Conduct is followed by practically usable example sentences which allow you to construct you own sentences based on it. You can also find multiple synonyms or similar words on the right of Conduct. All of this may seem less if you are unable to learn exact pronunciation of Conduct, so we have embedded mp3 recording of native Englishman, simply click on speaker icon and listen how English speaking people pronounce Conduct. We hope this page has helped you understand Conduct in detail, if you find any mistake on this page, please keep in mind that no human being can be perfect.